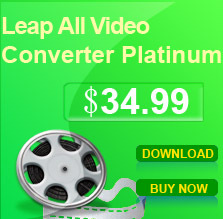 Leap iPhone to AVI FLV MPEG WMV 3GP Converter can help you convert your iPhone video file to AVI, MP4, WMV, VCD, SVCD, DVD, iPhone, Zune, FLV, SWF and MOV video formats. With easy-to-use interface and fast converting speed, you can get the excellent output video quality. 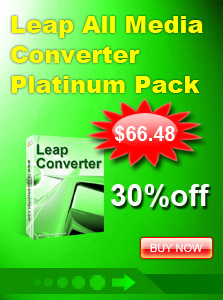 It is so easy to use that just a few clicks are enough to finish your conversion job. Free download and have a try of the software now. Input formats: iPhone video file. Output formats: AVI, MP4, WMV, VCD, SVCD, DVD, Zune, FLV, SWF and MOV.